Ruthiebear (Titusville, NJ, United States) on 23 December 2012 in Lifestyle & Culture and Portfolio. My tree - the lights are all white on my tree but I messed with this image a bit. I feel, that Christmas is here soon. La chlorophylle règne en maître absolu dans cette image rafraîchissante! Nice lights. I hope we'll get to see the whole tree too! 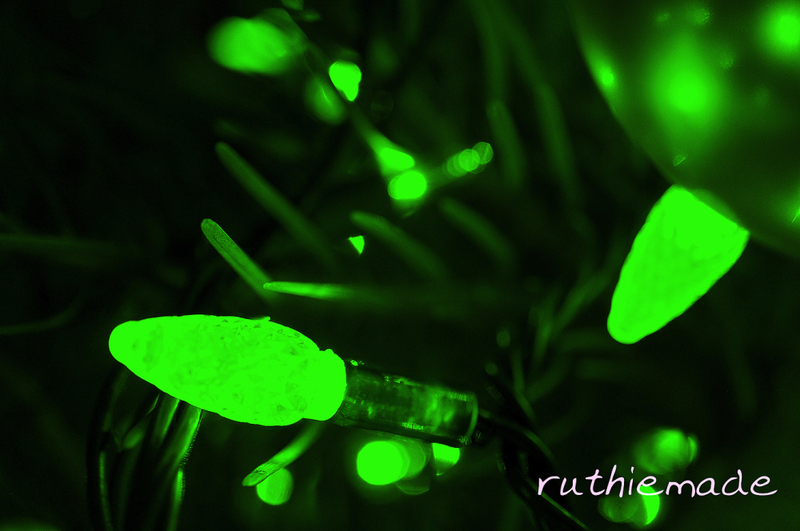 Weird green glow, it kinda reminds me of a film, but the name just won't come to me. Have a great Christmas time. Very interesting detail of this electric green! I wish you a merry Christmas! Beautiful monochrome and superb composition. The details are magnificent excellent photo. I like your Christmas tree shot with the green interpretation. This seems like a good way to try out how different colors might look if you changed the bulbs on a following year. Oh.. this one is FANTASTIC !! Nice color of green. Merry Chirstams ! Wouhaaaaaaaaaa tu vois tout en vert!!!!! Presque Hulk!!!! Love the green tint. Great shot Ruthie !!! Really like this one ! Green power ! Love this one Ruthie, my favourite so far! Excelente composición en esta imagen, con un genial color verde... es muy común en nosotros, llamarlo... el color de la esperanza...lo que nunca debemos perder... Por un mundo mejor. *****. Nice framing and dreamy color ! I like the way the green color pops! It's lovely and worked out very well! I've enjoyed your Christmas tree macros. I think this is my favorite of the five. Mele kalikimaka. interesting light management, clever dof !